To be honest I hate reading books. Plain books. No pictures or colors aughh I just can’t. However, I was walking around in the self-improvement section at Virgin Megastore which is the only section you will find me in, and one of the clerks asked if I was looking for something specific and I said not really because I like to be left alone when it come to exploring. 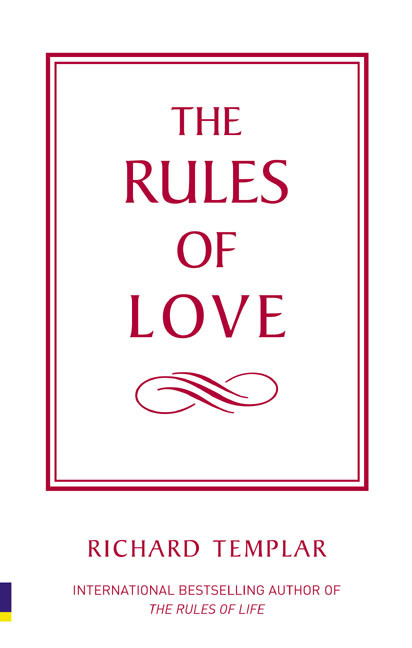 However he kept insisting that I take a look at this book The Rules of Love so I started passing around the pages and rolled my eyes because it was a plain book but the guy said "trust me this won’t be a downer". Something about him made me think twice, well not that he’s cute but... well maybe a little lol. Anyhow so I said fine and ended up buying it. It costs $21.99 in Canadian Dollars (use my converter). Once I arrived home I prepared my hot coco and started reading along. What I first liked about this book is that it consists of 223 pages and each page has a different rule which is not even a little boring. Usually I get bored because books are divided into chapters and each chapter is like 8 to 10 pages long and I can’t wait for the chapter to finish so it can get to the point. However, not this book. As I said, each page has a new and different rule to follow. I am now at rule number 60 and I swear I can’t stop reading. Someone stop me please lol!! You just get too deep into it and want to know more and more. I think Richard Templar is a genius for putting this together. He is also the international bestselling author of his other book The Rules of Life. Each rule makes a lot of sense and makes you think deeply and you can’t help but to agree. I don’t think these rules are meant for you to abide but it’s meant to make you think and remember how to cope with situations in the best manner. Each of these rules are broken down into smaller ones and oh I just love the logic behind it. I think you guys should seriously take a bite out of this!! It will really help you, whether you need it or not because good relationships don’t just happen, they need to be worked at.